Ellen contacted me early December to book an outdoor family lifestyle session. I sent her my client questionnaire which I send all clients shortly after booking, and after reading through her answers, I quickly realised how incredible this session was going to be. 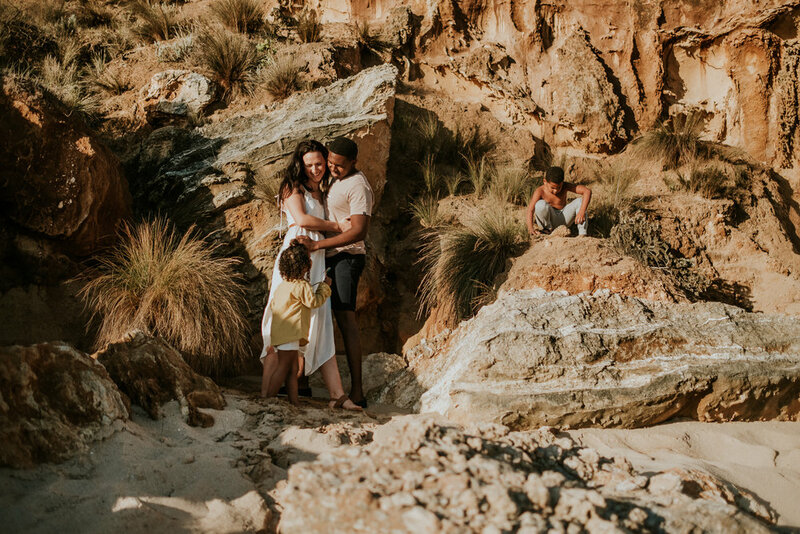 ‘The wilder the better’ was how Ellen described the location she was after, so, I jumped in the car and headed down to one of the back beaches on the Mornington Peninsula to find the most beautiful backdrops, perfect for this adventure loving family. 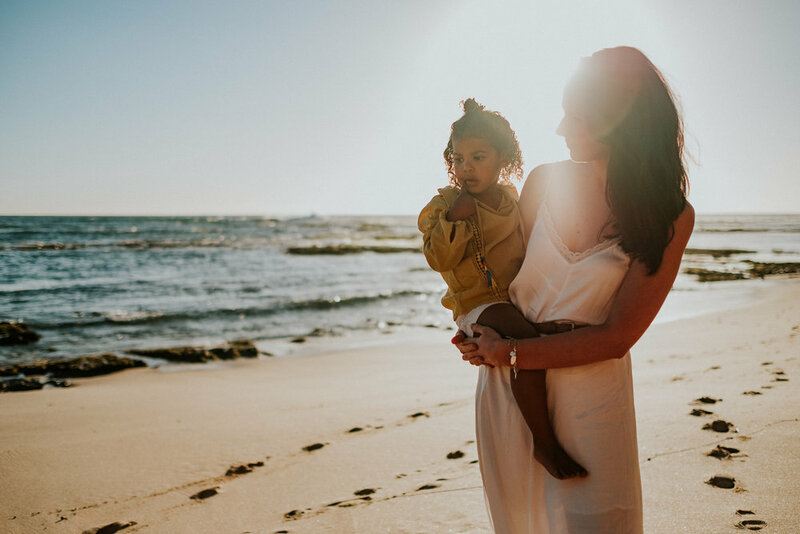 We then discussed outfits - families, if you're looking for inspo, take a peek at Byron Bay labels Children of the Tribe and ROWIE The Label…beautiful, simple clothing and perfect for my style of photos! Then Ellen shared with me some idea’s she had, specific photos that she wanted. I was crazy excited when she mentioned she wanted some in the water! Yes! These are my kind of people. The session soon came along and to say it went well is a massive understatement. The love between this family is undeniable, particularly between mum and dad (wait for the last photos at the end), and is exactly what I want to be doing; capturing your family being nothing other than what you already are – special, one-of-a-kind and connected. We are just entering the final weeks of summer, so now is the time to book in your sunset beach session! Please get in touch with me here to get the ball rolling. And if this session doesn’t convince you to, then I honestly don’t know what will.